To change the hearts and live of the people we serve through our work, our relationships, generous giving, and experiential living. Faith + Family + Fun + G.R.O.W.T.H. Giving. Relationships. Opportunity. Wealth. Thanks. Humility. Highly self motivated, goal oriented, honest, energetic and enthusiastic, Deldi is a self-starter with strong communication and negotiating skills. Deldi is recognized as one of the Top Agents in the Greater McAllen Area and the Upper Rio Grande Valley area real estate and luxury market. Deldi is known as being a top producer, as well as an overachiever exceeding personal goals and challenges. Focused and organized, Deldi believes the key to success is through honesty, integrity and hard work. Deldi's team goal is to provide the highest quality real estate service by consistently exceeding all customer expectations. They accomplish this through continuous training and education so that they can provide their clients with the most innovative, effective marketing and personalized service. Deldi's vision is to establish the Deldi Ortegon Group at Keller Williams Realty RGV as the preferred Real Estate Team in the greater McAllen area and in the Hidalgo County Real Estate market when buying, selling or investing in real estate. Reagan is a Rio Grand Valley native (Mission, TX) and on the top selling team south of San Antonio. She is a strong advocate working with both Sellers and Buyers. She has a niche with Builders and confidently helps private sellers get top market price for their properties. Reagan is a GRI (Graduate, REALTOR Instiitute) and is steadily pursuing her CCIM. Prior to working in real estate, Reagan was a business consultant with Arthur Andersen, ran a small, private record label, and was the Event Manager for a non-profit putting on conferences for 16,000+ attendees. She is a Texas A&M graduate and has enjoyed living in Austin, Kansas City, Washington D.C., and Denver. Deldi and her team have done a great job arranging for the sell of my home. They’ve kept me posted every step of the way. I couldn’t be happier! I highly recommend her services! Everyone at the Deldi Ortegon Real Estate Group helped me with the sale my house. They were professional but not stuffy. They kept me informed through the process. I would not hesitate to use them again, if the need arose, or refer others to use them! The service was great. We were kept well informed every step of the way by the very professional support staff. I would recommend this group to anyone selling a home or commercial properties. It was so easy working with the Deldi Group everyone was very knowledgeable, kept me informed and my house sold in a month. This is the second time I have worked with Deldi and I would use her for any future transactions. The property sold quick! There was daily contact during the whole process. 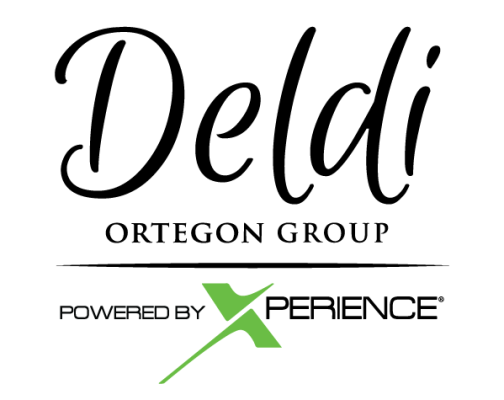 Deldi Ortegon has offered us nothing but exceptional service. They were readily available to answer any questions or concerns we had throughout the process and guide us in every step. Would recommend in a heartbeat for any real estate need.